A native hawaiian honeycreeper, the Iiwi. 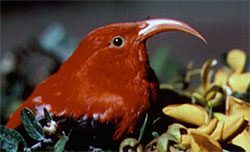 Like all native birds on Hawaii, these birds face many threats. Photo by J. Jeffrey, USGS/Wikipedia. 9:37 a.m. The Smithsonian’s Rob Fleischer kicked off the meeting with an overview of the unfolding tragedy of the birds of Hawaii. It’s a story familiar to most of the ornithologists here: the Hawaiian islands are the most isolated islands in the world – barely cooled lumps of volcanic rock sitting dead in the middle of the Pacific. There were never any native land mammals on these islands, and only about 110 species of native land birds, all derived from a couple of dozen windblown colonists, from geese to finches, that arrived over the millennia. Now there are 31 native bird species left, and 20 of those are endangered. Fleischer and his colleagues are doing what they can to save them. The birds face a host of hungry new arrivals such as rats, cats, and pigs, as well as the age-old problem of habitat destruction. But their main enemy was the arrival of avian malaria*** in the 1940s. It seems especially tragic that only one variety of malaria seems to have established itself in Hawaii and according to Fleischer, it’s a fairly benign form by global standards. The 50-odd species of non-native birds don’t have any trouble with it, but the native Hawaiian birds quickly sicken and die if they get infected. It’s a sad prospect to visit Hawaii as a birder. 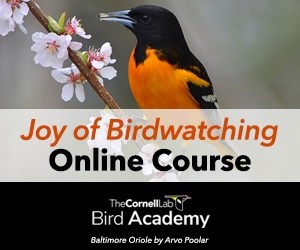 You see exotic birds all over the place, but you have to make special trips to see native species. 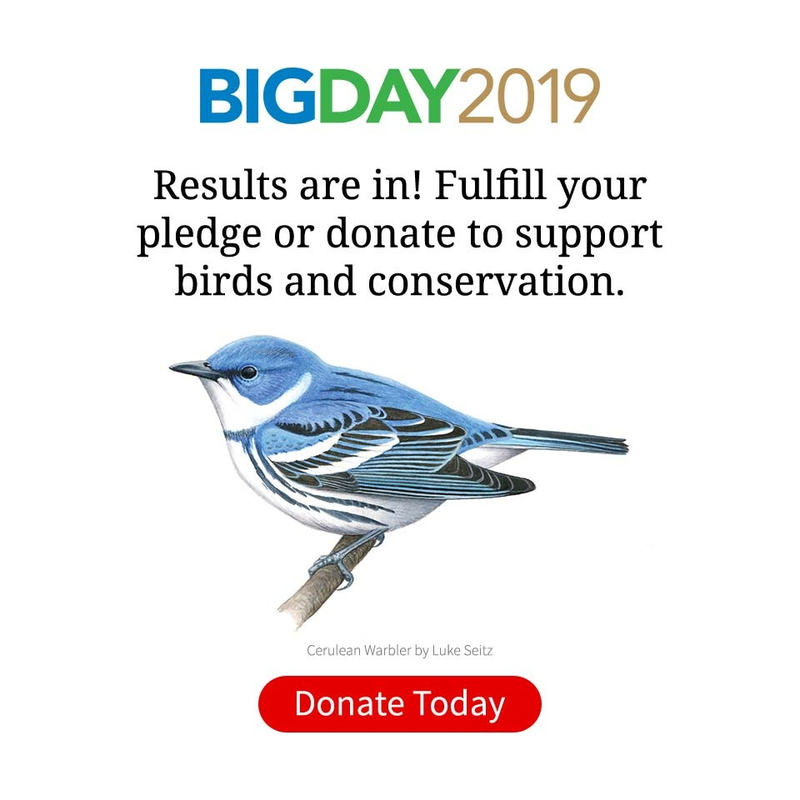 Increasingly, native birds are confined to a narrow, 3,000-foot elevational strip in the mountains, where the climate is too cool for mosquitoes, but warm enough that forest can still grow on the slopes. Global warming may change even that, Fleischer said. Meanwhile, research goes on in the increasingly urgent attempt to keep these unique birds from falling into oblivion. ***Note of reassurance: Avian malaria is different from human malaria – it’s still safe for you to visit Hawaii. Just don’t bring any mosquitoes, birds, cats, snakes, wasps, lizards, rats, beetles, etc. Science at work: How many kinds of Red Crossbills are there, anyway?